American TV network ABC cancelled the Roseanne Barr’s show after the American comedian made racist comments on Twitter about the former advisor to President Obama, Valarie Jarrett, who is black and is born in Iran to American parents. Barr, who is a long-time Trump supporter, was a star of the long running sitcom “Roseanne” which apparently was the most popular US show of 2018. Many media outlets reporting a story on ABC cancelling Barr’s show, repeated and quoted exactly the same racist tweet. 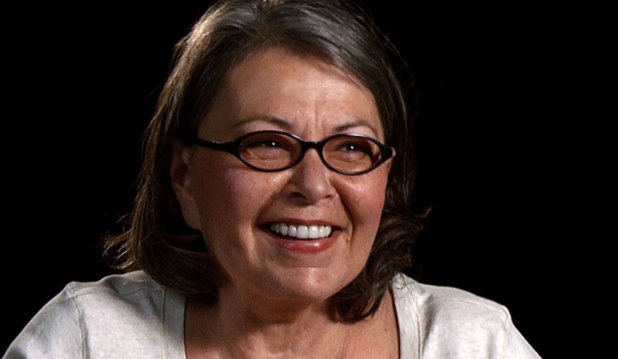 The Media Diversity Institute (MDI) asked experts if those media should have avoided repeating Roseanne Barr’s racism. ABC explained their decision to the show citing that Barr’s statements are not reflective of the channel’s policies and belief and inconsistent with their values." The controversy surrounding Roseanne Barr is actively being reported by the prominent media outlets across the globe, including BBC, Guardian, Telegraph, CNBC etc. Barr’s statement which refers to Jarrett’s ethnicity and her place of birth in a derogatory manner continues to be included in different articles across publications. 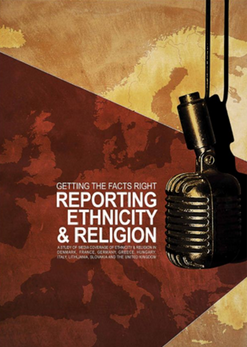 This raised questions related to the code of ethics in journalism and whether reproduction of racist slurs in the media could fuel the machinery of racism. Experts that MDI interviewed on this subject agree that the answer is in the context necessary to report on the story of Roseanne Barr. “Sometimes it is important to publish racist remarks so that people can see how offensive they are and what they say about the person who makes them,” says Director of Media Wise Mike Jempson. He also makes connections to this particular event by stating that it is important to quote Barr’s exact words in order to link it to President Trump who applauded Barr on the success of her show but has not condemned explicitly on her racist tweets. He further adds that it is crucial to provide context, and to challenge the racism if a publication is going to repeat it. Director of the Ethical Journalism Network, Chris Elliot, agrees stating the importance of reproducing such wordings in order to draw attention to the particular issue. He also believes that proper context is very important while reporting and reproducing such cases and it is the job of a journalist to make sure he does not contribute adversely to the machinery of racism. “There is a great danger when reporting on these issues that a journalist reports them baldly and thus amplifies the remark as if recycling them through a megaphone. I think the job of the journalist is to tell your readers what has been said but in a detached manner, never appearing to adopt them but placing them in context. Readers must be told but in a way that separates the speech from the medium of communication i.e., you don't become joined with quote. Journalists are not there to fan the flames of racism but to call it out,” warns Elliott. Veronique Mistiaen who teaches journalism at the University of Hertfordshire, says that Barr’s tweet was definitively racist and abhorrent. Answering the question whether journalists should quote such tweet, Mistiaen says that the test should be the protection of free speech and non-dissemination of hate speech. “Do people need to know the content of Roseanna Barr’ speech? Could mentioning that is was a racist tweet, as many journalists did, or paraphrasing it be enough? If you could paraphrase it accurately, I would go for that, but how would you paraphrase it? I don’t think that just saying it was a racist tweet gives the audience enough information. People want to form their own opinion on whether the tweet was racist/abhorrent: is “racist” the same for the Sun as for the Guardian? So in this case, on free speech argument, I would quote the tweet,” says Mistiaen adding that the tweet likely reflects Barr’s views and those of a large portion of the US population. “But, is it dangerous? Is it inciting violence towards Valerie Jarrett and others? Is it increasing discrimination? I am not sure,” says Mistiaen for MDI. There have been various situations where the media have been questioned regarding their reporting on sensitive issues and the thin line between freedom of expression and hate speech. The republishing of controversial content can lead to the dissemination of hate speech and unrest in the society, as seen in the case of Charlie Hebdo. Most of the professional media refused to republish Hebdo’s cartoons of Prophet Muhammad while reporting on the issue. As our experts agreed, republishing of Barr’s racist tweet was necessary and in the function of providing the context to the audience.